Hootsuite is the most widely used platform for managing social media, loved by over 10 million people around the globe and trusted by more than 800 of the Fortune 1000. 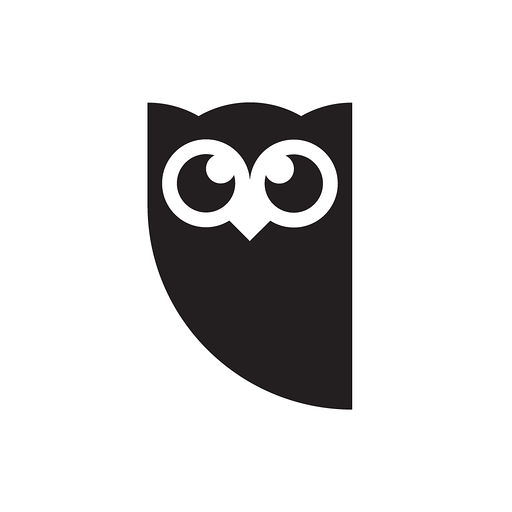 With Hootsuite, brands harness the power of social. Our platform brings together your social networks and integrates with hundreds of business applications. It’s the one place to build customer relationships, listen to the needs of the market and grow your revenue. 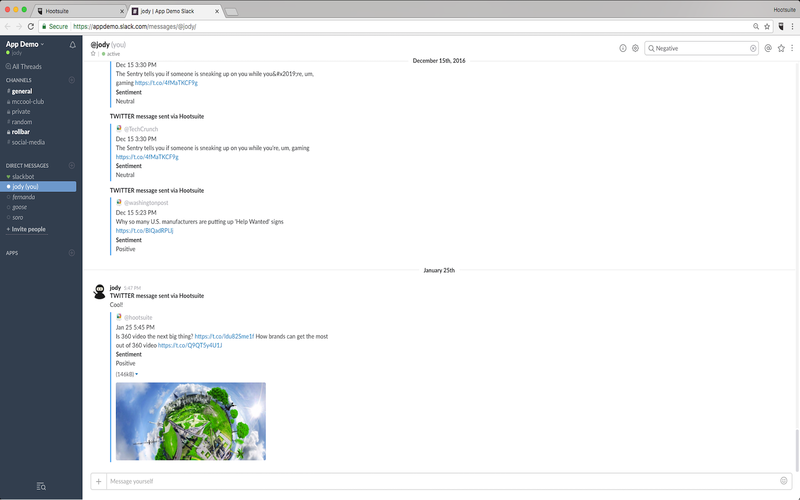 The Slack app for Hootsuite allows you to send social messages from your Hootsuite dashboard directly to channels within your Slack team. Hootsuite App will be able to confirm your Slack identity on your workspace. Hootsuite App will be able to post to specific channels in Slack. 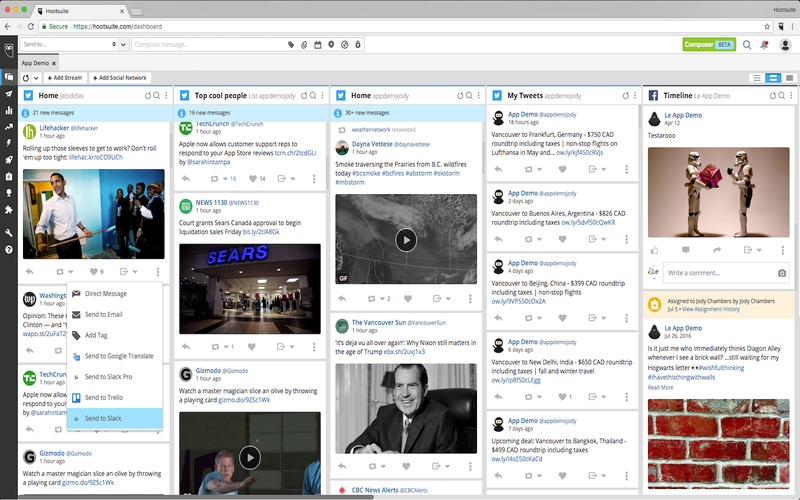 Hootsuite App will be able to access basic information about your public channels (including names, topics, purposes, creation date, and latest message). Hootsuite App will be able to view the email addresses of your Slack workspace’s members. Hootsuite App will be able to access profile information for all users on your workspace, including names and contact information. 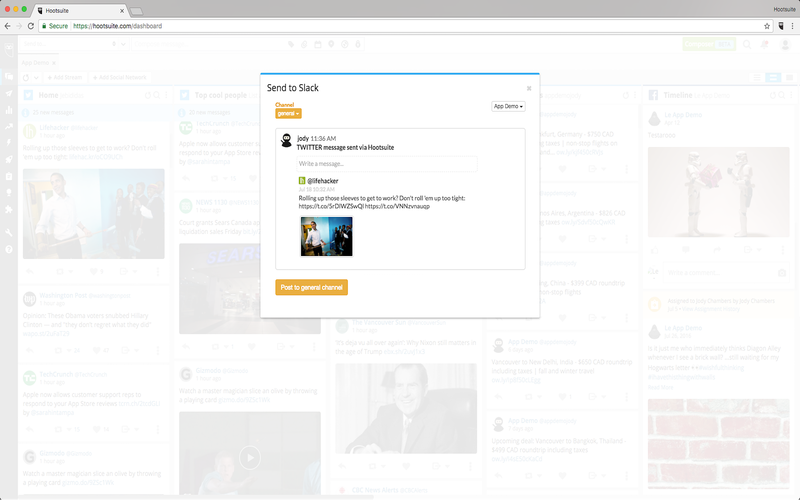 Hootsuite App will be able to send messages on your behalf to your workspace.